Raw onions may make you cry, but an onion on the grill has a totally different effect. 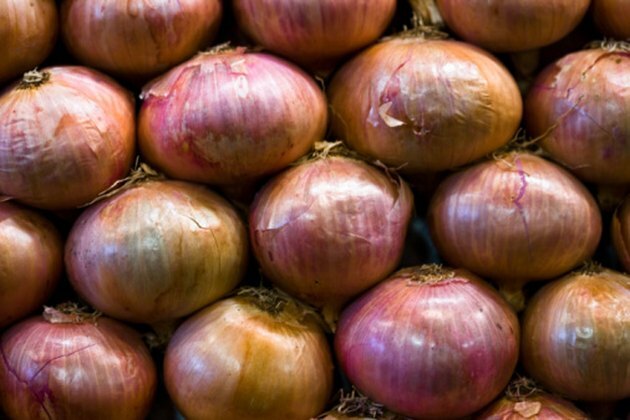 An onion's flavor changes drastically as it is cooked at high heats. The sugars in the vegetable caramelize, causing the vegetable to become much sweeter. Although some like grilled onions that are charred by the high heat and charcoal, foil is often used to protect the onion while still conducting heat and allowing it to cook through. This is an easy process that can lead to sweet onions cooked on their own or with other vegetables. The smoky flavors from the grill will find their way into the foil packet, further enhancing the taste. Cut up onion into slices or wedges as desired. The smaller the pieces, the less cook time the onions will need. Add any seasonings, if desired. Black pepper, salt and butter are all possible additions that can enhance the flavor of your onions. Place the onions in the aluminum foil and fold the foil over the top. Do not wrap or seal tightly; some airspace and venting will be needed for air to expand and steam to escape. Place the foil on the grill and cook for 25 minutes, or until the onion slices are limp and tender. Remove from the grill and serve.